This page describes the most common asked questions about screen mesh. We also have available stainless steel and others. Please contact us about your special requirements. 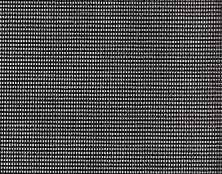 Mesh size denotes the number of openings per inch. 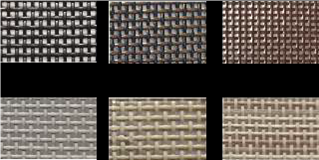 Example: 18x16 mesh has 18 openings across (warp) and 16 openings down (fill) per each square inch of the cloth. Warp refers to the foundation wires that runs lengthwise with the cloth. The wire strands that are woven into the warp are called "fill," and run across the width of the cloth. Diameter is the number assigned to a specific wire thickness. 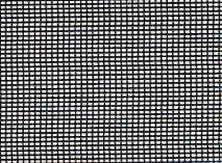 This standard fiberglass screen is the mesh applied in most windows and doors. Easily installed into window or door screens. This high quality standard mesh is the preferred insect screening. Improved Visibility Insect Screen (iVis) has 20% better airflow and optical clarity and 10% better insect protection than a standard screen. It is Greenguard certified and infused with Microban protection. It can be installed in window and door screens as well as in porches. Excellent visibility insect screen (eVis) provides 25% better airflow and optical clarity and 30% better insect protection. It is greenguard certified and infused with Microban. This material is typically installed in window screens to maximize visibility. Aluminum Wire is a weather-resistant screening that offers good ventilation and protects against insects. This mesh is more durable than standard fiberglass screening. No-see-um is a mesh that offers good ventilation. No-See-Um’s tighter mesh is designed to protect against small insects and is generally used in Pool, Patio, and Porch enclosures or for larger openings. It may also be installed in window and door screens. Pool, Patio and Porch screen is a mesh that offers a stronger screening for larger openings. Pool & Patio protects from insects while maintaining good ventilation. This material meets the Florida building code for pool and patio enclosures. Solar Insect Screening keeps out the tiny insects well blocking 65% of the sun's heat and rays . Solar Insect Screening is GreenGuard and GreenGuard Children & Schools certified and is lead free. This material keeps out tiny insects and helps block the sun. This material can be installed anywhere standard screening is installed. SunTex 80 / Textiline 80 is a heavy duty, pet resistant screening with 80% sun blockage. 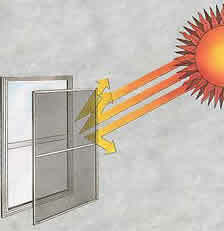 Solar Screen reduces the amount of the sun’s heat and UV that enters through your windows into your home. Reduces utility bills and makes living area more comfortable. Please see our Solar Screen Page for more information. SunTex 90 / Textiline 90 is a heavy duty, pet resistant screening with 80% sun blockage. Solar Screen reduces the amount of the sun’s heat and UV that enters through your windows into your home. Reduces utility bills and makes living area more comfortable. Please see our Solar Screen Page for more information. Florida Glass / Glas-Shield is a 18X14 fiberglass mesh that has been vinyl laminated. Glas-Shield functions as a privacy screen and is designed to keep debris out of enclosure areas. SeeVue is a stainless steel insect screen that offers excellent visibility and protects against insects. SeeVue is durable and excellent for porches. This screen material is not recommended for coastal areas exposed to salty air. Copper / Bronze Screen is a specialty metal screening that provides strength and durability while offering an architecturally pleasing alternative to traditional screens. Bronze Screen is made of 90% Copper and 10% Zinc and weathers to a beautiful bronze finish. It effectively protects against insects, is resistant to salty air, and will not oxidize like aluminum screening. To learn more about this product see our copper wire page. 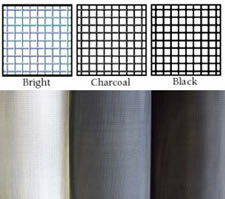 If the screen material you seek isn't listed above or you would like to order a partial roll Contact Us.